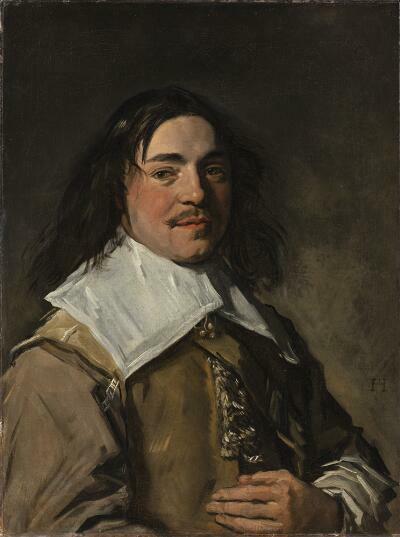 A resident of Haarlem, Frans Hals was one of the finest portrait painters of the seventeenth century. He brought to the traditional format and poses of Dutch portraiture a liveliness and dash that made his paintings stand out against those of his competitors. As a specialist in the depiction of cheerful moments, Hals communicated a sense of well-being and high-spiritedness even in his more formal portraits. This liveliness was a powerful part of Hals' appeal. In this painting, the immediacy of the impression depends not only on the responsive facial expression, but also on the vitality of colors and vigor of the brushstrokes. J. M. Stettenheim, New York, 1935 until at least 1942.